Do you have the Harley-Davidson socks, glasses, underwear, jacket and still can’t get enough? Well search no longer as you can now listen to music while advertising for your favorite brand! In all seriousness, I had the option of which set of headphones I wanted to review and I selected these ones based on their looks alone. Opinions are like butts though – everyone has one. If these weren’t for you I’d recommend you visit Fuseplusyou.com and find a set that tickles your fancy. The question is: are they any good? These Willie G. branded Stereo Earphones cost a cool $19.99 and include a second set or rubber ear inserts, to customize the fit based on the size of the hole on either side of your head. Free shipping to the United States is included with this purchase, and they are typically sent within 24 hours of you placing your order. Not bad so far. The Good: First and foremost these earphone scream value! For comparable items around $20 you’ll likely have to sacrifice functionality for styling, or visa versa. Next what really surprised me was the dual ear inserts. Their rubber finish makes them easy to clean (gross), customize or even have at a ‘worst-case’ replacement incase the original set goes missing. The flexible finish made them comfortable to jam in/out of my trouble-ear, y’know, the one that was the primary reason I only used over-the-ear headphones, until now. 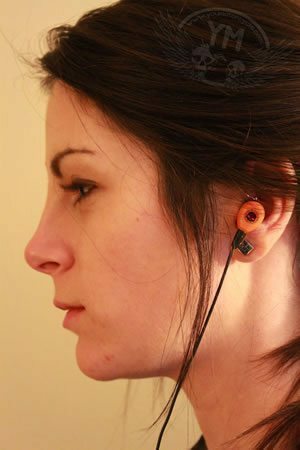 Also, when in your ear these earphones didn’t stick out much. The slender profile made it easy to slip on/off even a bulky full-face helmet. The styling of this set caught my eye, and in person the actual finish and logo lettering was crisp and withstood a week’s worth of use and abuse without a blemish. As expected, the cord got tangled easily when bunched into a jacket pocket or left on the table for a curious cat to discover. The important thing here is that the headphones survived. The Bad: False advertising. Adding the word ‘Stereo’ in the name lead me to believe that these earphones would have great depth and tone variation. Although they did offer true ‘stereo’ sound, they were relatively flat sounding and I can’t say they were impressive. Good, but not great. Volume control on the cord itself would have been a nice option, but at this price point I didn’t anticipate one, and I was right. The Ugly: A co-worker can be quoted as saying ‘They’re hideous, what is black on them should have been orange and what is orange should have been black. You look like you’re going to work on a construction site!’ Personally I did like them and I feel that the photos, which accompany this article, and the image for them found online, did these earphones justice. If you don’t like this set then I’d recommend you visit Fuseplusyou and find a pair you do like. Lastly, after about an hour of wearing these headphones inside a full-face helmet they began to get bothersome and irritating. I have tried the standard iPhone earphones and other comparable sets but they all bother me after that length of time. Keep in mind that all ears are different so you may or may not run into this problem too. On the packaging it seemed to suggest that the earphones shouldn’t to be used to while riding, I’m not certain if that was because of the lack of comfort or for liability reasons. Buy/Hold/Sell? Ultimately I think it will come down to the styling, and thickness of your wallet. 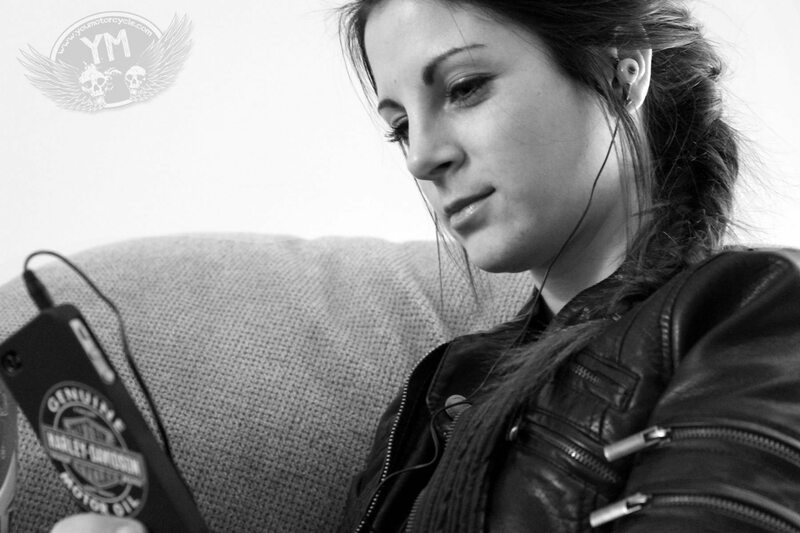 For more money you can definitely get earphones that will outperform these Harley-Davidsons. However, at this price point these earphones are likely the top of or in line with their class. 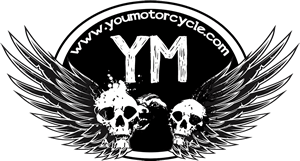 If the looks don’t do much for you then search Fuseplusyou and find a Harley-Davidson that pair will. If I had to pick between the earphones or the iPhone case to spend my money on, I’d buy the case without a doubt. 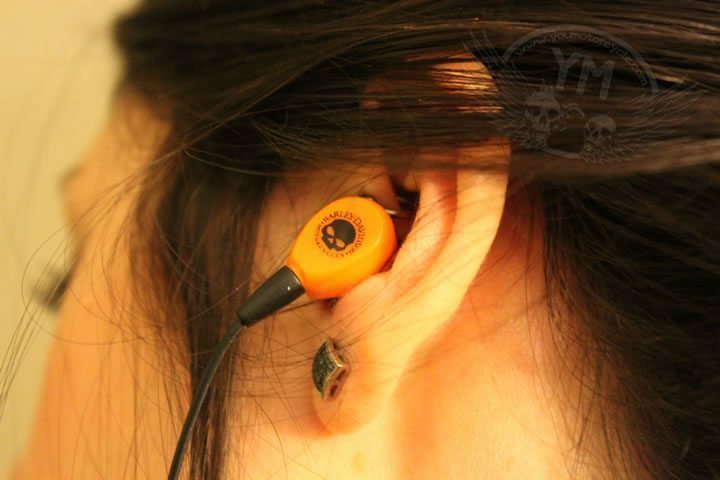 For affordability and moderate performance on the Harley-Davidson earphones, if you like the MoCo, I’d say Buy!